Sun sensitivity is a subject that has drawn a lot of attention from scientists and common man alike for a long time now. The reason for this is that no one has been able to suggest that exposure to the sun is anything bad or good. In fact, a certain level of exposure to the sun is important for vitamin D synthesis in the body. However, if this exposure is prolonged and too intense, then one ends up with a variety of skin problems. Therefore, sun sensitivity is a subject that requires more deliberate pondering. What are the positive effects of sun exposure? As per scientists, the human body requires sun light for synthesizing vitamin D, which is crucial for its health. Vitamin D is a fat soluble vitamin that has a major bearing on the body's ability to maintain bone density, strengthen immune system capacity, prevent influenza, deal with the potential of cancer, help negate cardiovascular diseases and slow down ageing. Therefore, if you take regular trips to the beach or your local picnic destination it is something that you should maintain. However, even though sun light can be so beneficial, there are significant risks to you if your sun exposure levels are too high. For example, as you already know, the first effect of too much exposure to the ultra violet spectrum would be that you get a sun tan which is promptly followed by sunburn. However, prolonged exposure can lead to your skin developing very extreme sun sensitivity. Risks of too much exposure include Skin Cancer, increased speed of aging, snow blindness, bleaching of hair and a variety of other problems. This does not mean that you should stop your exposure to the sun completely. Instead, it means that you should control it with the use of various types of sun protection equipment. What things can you use to protect your skin, eyes and hair? The most common method of protecting yourself from too much sun exposure is to use sunscreen. Sunscreen products are specifically designed to protect your skin from the ultra violet spectrum. You should note that regular reapplication of sunscreen is important for it to be effective. It is not only your skin that needs to be protected from over exposure to the sun. Your hair and scalp are also susceptible to the negative effects of over exposure to the ultra violet spectrum. 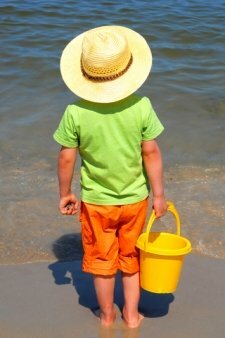 Sun hats can take away virtually 100 percent of all the negative effects of overexposure to the sun. However, sometimes sun hats may not be feasible. In this case, you should use sun shade canopies. 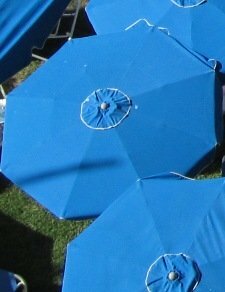 Sun shade canopies are canopies that are made up of material that prevents ultra violet rays from penetrating. Furthermore, these canopies also come in different sizes which means that you can protect your whole family at one go. All of the above, barring sunscreen, will be rendered useless if you are going swimming. In such a scenario, you should have ultra violet spectrum protection swimwear which would counter your skin's high sun sensitivity while you are in the water.